Laser skin resurfacing, also known as skin tightening, is the rejuvenation of the skin by accelerating the removal of the outer layers of the skin at the same time that collagen production is boosted in the deeper layers. Trust your laser skin resurfacing procedure to the best-reviewed plastic surgeon in Pittsburgh, PA. It is performed in our office and usually completed in 1 hour. There is no major downtime when doing your procedure. Searching for LASER Skin Resurfacing near Pittsburgh, PA or Wexford, PA? 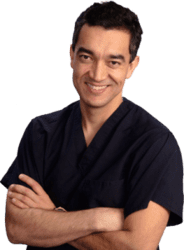 Dr. Clavijo at ReNova Plastic Surgery offers fractionated CO2 LASERs and Fraxel to enhance your skin and recover a youthful look. The average price of LASER skin resufacing near Pittsburgh, PA ranges from $1,500 to $3,000. Skin resurfacing also known as skin tightening is the rejuvenation of the skin by elimination of the outer layer of the skin with LASER technology. It might require 1 to 4 sessions depending on the severity of the skin and the laser used for the treatment. 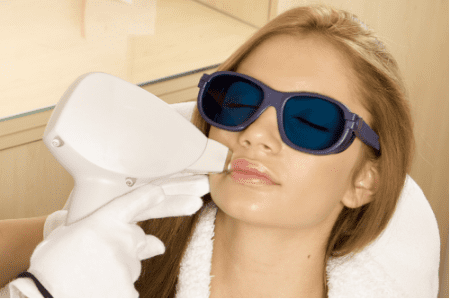 How and where is the Fraxel or CO2 laser treatment done? The procedure is done in our office. It is done under topical anesthesia The duration of the procedure is about 30 minutes to an hour depending on the extent of the affected areas. It is done as an outpatient procedure. The difference between LASER resurfacing and chemical peels? Skin tightening is done with LASER technology. This Light therapy is directed to the water contained within the skin. It may take 3 to 5 sessions to obtain the final results. It is a more progressive and gentle process. Chemical peel is the application of control chemical acid to the skin. It is a one-time process but is the more aggressive one. What complications could occur after laser skin rejuvenation? CO2 laser skin resurfacing is performed by using a carbon dioxide ablative laser to remove the top thin layers of skin and address a host of skin concerns, including wrinkles, scars, pigmentation, and unwanted facial hair. How is the post-procedure recovery? The typical cost for LASER skin resurfacing near Pittsburgh, Pennsylvania ranges from $1,500 - $3,000.